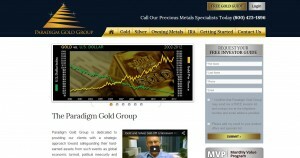 Paradigm Gold Group address, phone, website, and more. 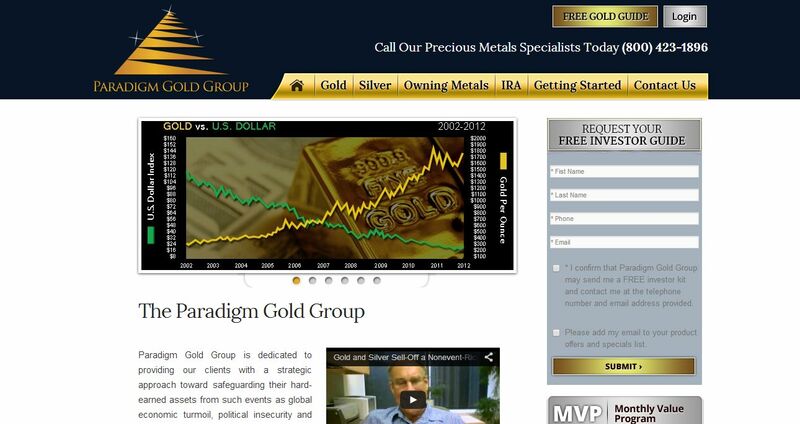 Paradigm Gold Group is dedicated to providing our clients with a strategic approach toward safeguarding their hard-earned assets from such events as global economic turmoil, political insecurity and currency devaluation. Precious metals have easily withstood the test of centuries as the only form of currency resistant to Fed manipulation and debasement. Financial experts alike recommend a portion of one’s overall asset portfolio be backed by physical Gold, Silver and Platinum. Precious metals have proven to ensure a favorable financial outlook by protecting the buying power of our personal wealth. Whether it be rolling over your retirement account into a Gold, Silver or Platinum backed IRA, or facilitating a direct purchase of metals, our promise will be to provide you with a personalized strategy to fit your near and long-term financial goals. Contact Paradigm Gold Group today, and let our highly skilled specialists prepare sound recommendations to help you realize immense profit potential and security with physical Gold, Silver and other precious metals.